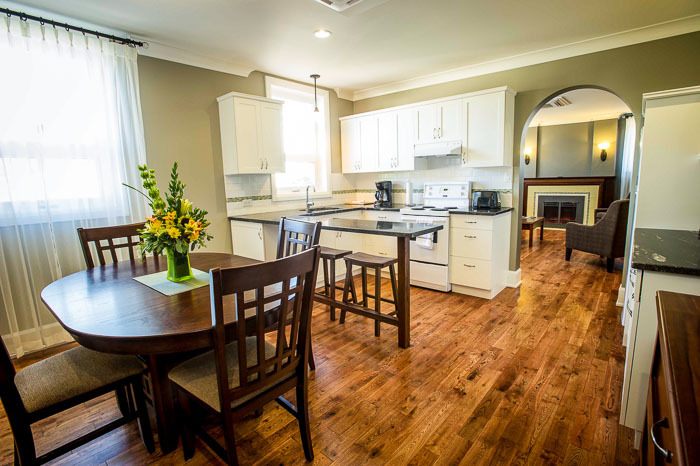 A charming one bedroom suite complete with one King bed in a separate bedroom, one sofa bed, living room, kitchen with full-sized fridge, hardwood floors, electric fireplace, iron & ironing board, granite countertops, coffee maker, desk, chair, private bath, phone and 2 large TVs. 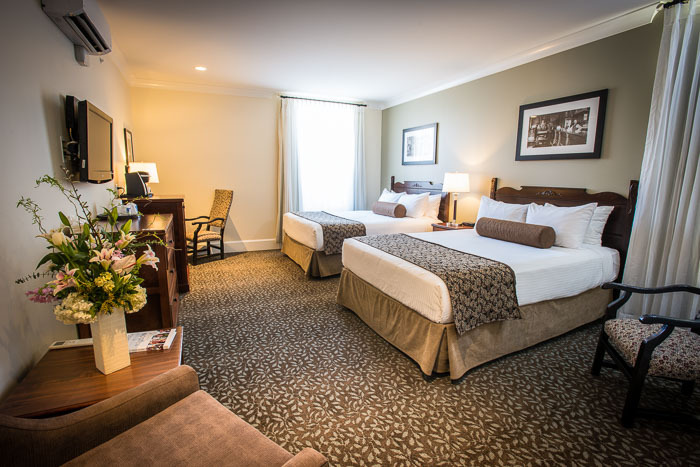 *Please note, if you need more space, the adjoining Room 478 can also be booked which has two queen beds and a full bathroom. 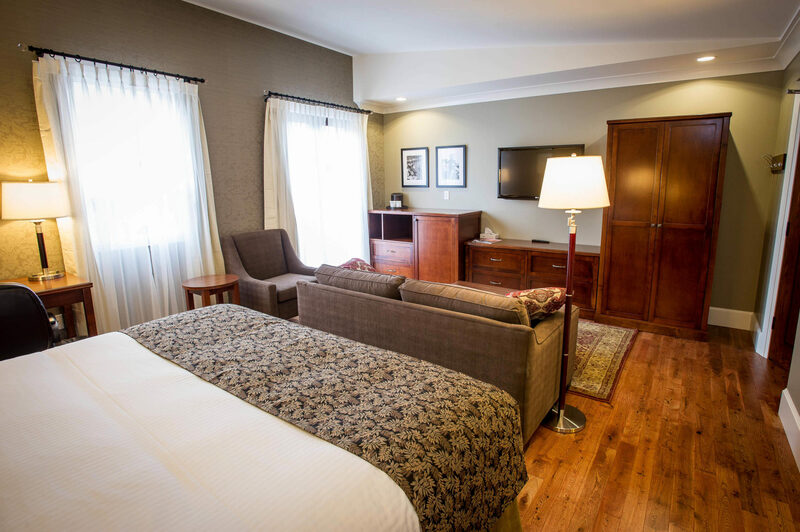 The Barrister’s Suite is a very spacious corner suite that includes a King bed, a sofa bed, electric fireplace, hardwood floors, soaker tub and beautiful design. It pays homage to the lawyers who have requested this room over the decades with its close proximity to the Court House when in Nelson on business. 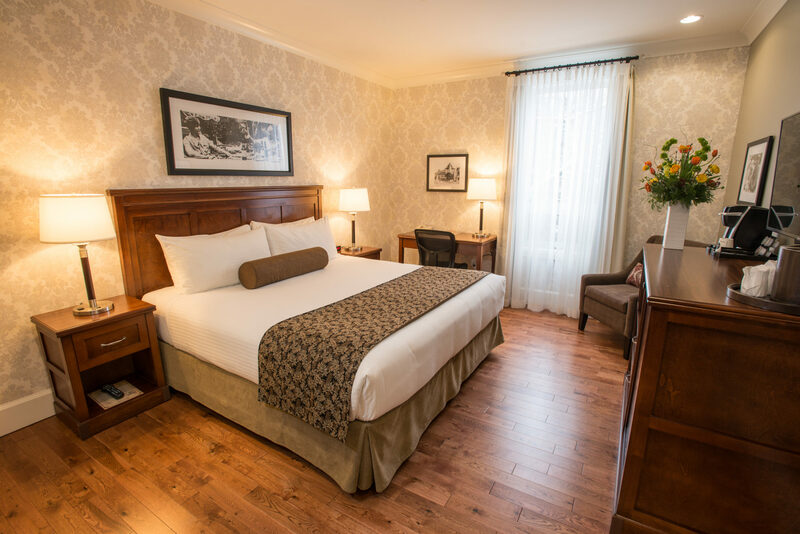 This beautiful corner room is themed after the famous wooden speed boat that once roared up and down Kootenay Lake. 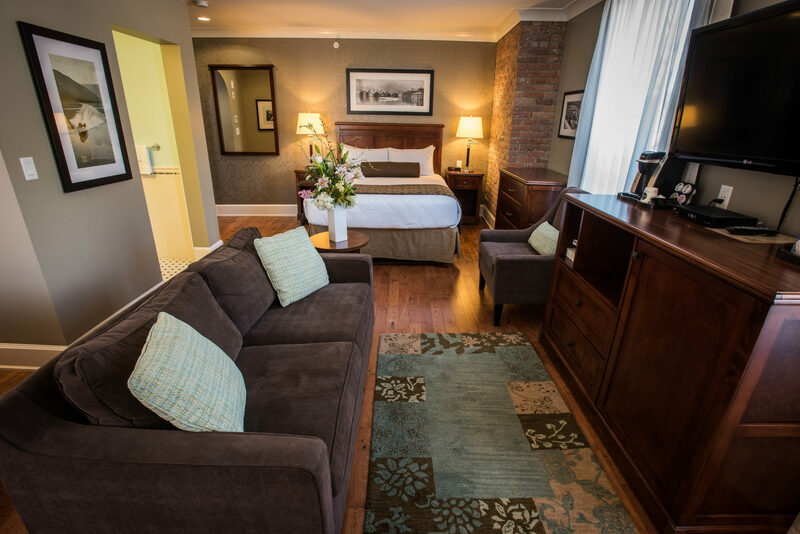 It features a King bed, a Queen bed, a sofa, a large TV, a very spacious bathroom with tub and separate shower, hardwood floors and the hotel’s original brick chimney has been exposed. This 4th floor corner room offers a very spacious floor plan. It consists of 2 Queen beds, a sofa bed, coffee maker, iron & ironing board and small fridge. It features hardwood floors, vaulted ceiling, 2 large TVs, granite countertops and rapunzel windows that open up to a spectacular panoramic view of the city, lake and mountains. The Juliet is one of our magnificent corner rooms that offers a beautiful view over Vernon Street’s ivy-laden Nelson Courthouse. It has a King bed, a sofa, a large soaker tub with separate shower, vaulted ceiling, a large TV and hardwood floors. This quaint corner room was aptly named after Horace Hume’s wife, Minnie. It has hardwood floors, a King bed, large TV, granite countertops and offers a beautiful view of the ivy-laden Nelson Courthouse. It has a fridge, desk, iron and ironing board. This quaint corner room pays homage to turn-of-the-century architect Francis Rattenbury. The view out the window is of the ivy-laden Nelson Court House which he designed and built in 1908. 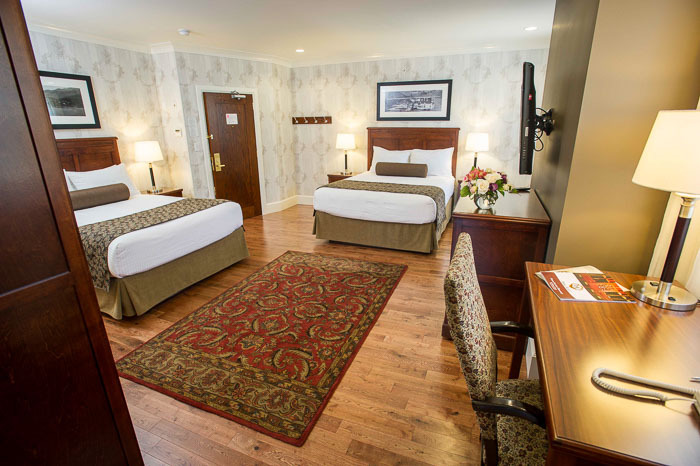 This room has hardwood floors, a King bed, large TV and granite countertops. It has a fridge, desk, iron and ironing board.